The government shutdown, starting December 22nd 2018, has been going on for a month now, making for the longest shutdown in the history of the United States. As a result, about 800,000 federal workers living paycheck-to-paycheck don’t have an income this month. Now that so many people are struggling to pay their rent, they will be more reluctant to spend money on things that aren’t absolutely necessary, causing a domino effect that will hurt the entire economy. Apart from the federal workers, small business owners are the most affected by this shutdown. Unlike most larger businesses, small business owners are dependent on individual returning customers. And when so many people barely have any money to spend, small businesses all over the country are see a significant decrease in their revenue. 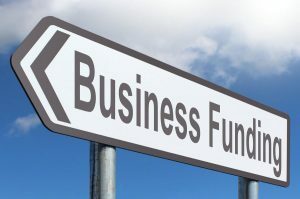 On top of this, a lot of small businesses and start-ups are dependent on funding provided by the Small Business Administration. With the SBA closed due to the shutdown, small business owners are not only seeing a lack of funding, but they also suddenly have to do without the seminars, monitoring programs and other types of assistance offered by the SBA. An increasing number of small business owners are turning to commercial pawn shops to exchange collateral for cash loans, now that they are now longer receiving funding from the SBA for their business they worked so hard for. Unfortunately, these for-profit lending organizations are allowed to charge up to an annual 48% in interest, and on top of this, they often charge storage fees, ticket fees and installment fees. Provident Loan Society, the only not-for-profit lending organization in New York, offers a cheaper alternative for small business owners in need of instant money to keep their business alive in these uncertain times. As a not-for-profit organization, Provident Loan is able to offer cash loans at typically half the price of her commercial competitors. 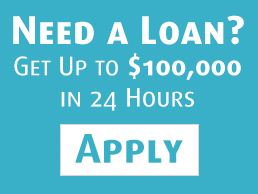 In addition, the organization charges no installment fees and all of the fees are disclosed to you before taking a loan. The process of applying for instant cash as a small business owner is fast and simple. You bring your collateral – Provident Loan Society accepts collateral in the form of gold and diamond jewelry, fine watches and silverware – to one of their five offices throughout the city. The value of the collateral is estimated and cash is given to you on the spot. Within 20 minutes, you’ll walk out with as many cash you need to make you and your business survive the shutdown. no thoughts on "How Provident Loan Society Can Help Your Small Business During the Government Shutdown"